This section provides an overview of the sonnets that have been ascribed to Shakespeare's Dark Lady. Though the term is not used in any of the sonnets, the name has stuck since the women is described as having both dark features and having a dark nature. 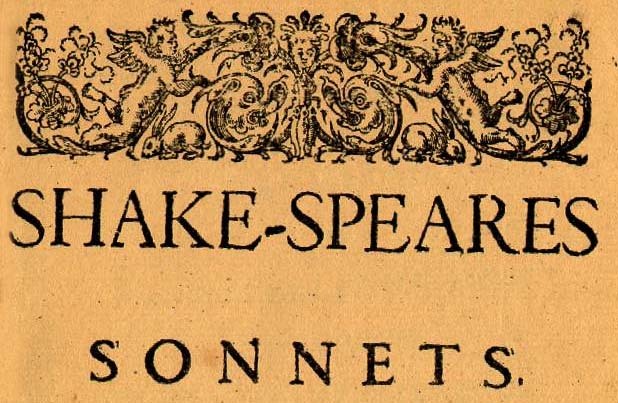 While to some eyes the previous 'Fair Youth' sonnets seem to indicate an ambiguously homosexual relationship between the poet and the Fair Youth, the Sonnet Speaker makes no bones about having a full out sexual affair with a married women. He is fully in love, hating her darker and less attractive qualities and despising himself for constantly staying with her even though he realizes how toxic their relationship is. In the midst of this emotional storm, the Dark Lady has an affair with the 'Fair Youth'. The more intrigue the better it seems. Though this section is dominated by sonnets to the Dark Lady, Shakespeare perhaps offers a sonnet to his wife, Anne Hathaway, as well in Sonnet 145. Located in the middle of a sequence of poems depicting a regrettable and adulterous affair, it may be no coincidence that Shakespeare decided to remember his wife fondly. Though their relationship may never have been very close, he imparts that she may have been the reason that he went to London to begin his acting and writing career and 'saved my life ' as he writes, in the process. Emilia Bassano Lanier (1570-1654) was the mistress of theatrical patron Henry Carey, Lord Hunsdon, Shakespeare’s company patron. Emilia Bassano was the illegitimate daughter of a Jewish Italian musician from Venice named Baptista Bassano, and was a courtesan at the court of Queen Elizabeth. She had become the mistress of Henry Carey, Lord Hunsdon, when she was in her teens. In 1593 she became pregnant and was given some money and married to Alphonse Lanier, another court musician. The next year Hunsdon became the patron of Shakespeare's theatrical company, and it is possible that Emilia Lanier might have known Shakespeare through this connection. She might also have known the playwright through her husband's place in the world of court entertainment. The possibility that she was Shakespeare's Dark Lady rests chiefly on these connections, plus a description of her—by the astrologer, Simon Forman, with whom she may have had an affair as a witch-like 'incuba', a characterization thought to accord well with the poet's 'female evil [who can] corrupt [a] saint to be a devil' (Sonnet 144.5-7), Given that her father and son were musicians its often thought that she herself was well versed with music. Sonnet 128 refers tellingly to Shakespeare or the sonnet speaker watching longingly as his beloved plays the keys of an early piano “the virginals”. Above, an actress portraying the Dark Lady plays the virginals, a precursor of the piano, enacting a vivid scene from Sonnet 128. Picture courtesy of Michael Wood's documentary In Search of Shakespeare. A couple of tantalizing connections also survive from the plays to indicate that Emilia Bassano Lanier is indeed the Dark Lady. The Merchant of Venice was written only a few years after the earliest sonnets. The chief suitor in the play is named Bassanio. Also notable is the character of Shylock, a Jewish father who is native to Venice, but is treated as an outsider. Shakespeare’s well balanced treatment of a Jewish antagonist was rather unique for the period. While his contemporaries reviled Jews or any other aliens for that matter, Shakespeare made his character sympathetic and human, while still keeping him a sufficient villain for his role in the plot. Even the name of Shylock is an enigma, derived from the Hebrew word Shallach meaning an abusive usurer. This is not found in the play's source material nor would it have been commonly known, but is perhaps derived firsthand from someone who knew Hebrew. In Othello, Shakespeare’s other play taking place in Venice, the fiery character of Emilia gives an interesting monologue on how women are powerless in a man’s world except when using feminine wiles to get their way and how men then berate them for it. Several other similarities in Shakespeare’s heroines are peppered throughout his plays. Could all these be from a memorable liaison in his younger years with a lovely and fiery courtesan? In 1611, Emilia Lanier published a proto-feminist tome called Salve Deus Rex Judaeorum, a long poem on the women of the Bible with dedicatory letters to prominent women of the period. The piece also featured an angry letter accusing men of being ungrateful to the females in their lives. She writes that without women none of these powerful men would exist due to giving birth or being reared by women. Many sentiments in this letter echo Othello's Emilia. Why in her long life did she choose to publish these works at this time? 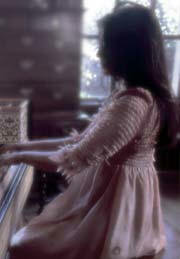 Could it be that she wanted to respond to a set of poems that did not present her in the best light? Though the work was not popular in her time, Lanier’s poems and thoughts have been championed by modern feminist thinkers and today she is considered one of the foremost female poets of the period. Given that she was a fellow poet, her connections with the court and Shakespeare’s company, Emilia Bassano Lanier is most convincing Dark Lady candidate to date.